Well then, Kaya might not be the best for this kind of game. 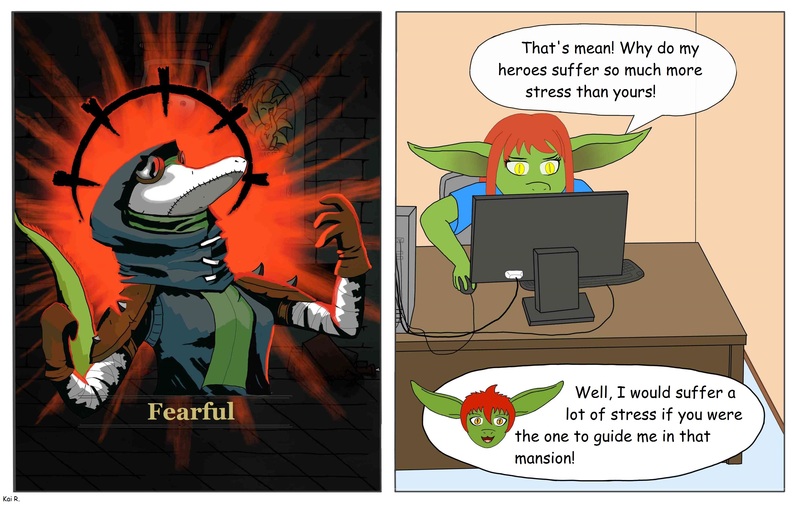 Thanks to NotDragonKai for making a guest comic. I see a Housepets kitsune! We’d all be very afraid if she was leading us anywhere. Can you help me out about wich game is this?